When we are born, we do not question why or how food gives us energy; somehow we just know and we move on. Everyone knows that eating food will make one feel good, it will make one feel satisfied. However, only when we are older our society teaches us that such behavior is called a “natural instinct” and the satisfactory feeling is called “energy.” The average person does not question how, why, or when “natural instinct” became common scientific knowledge—he or she simply believes and accepts that scientific fact to be the truth. Nonetheless, everyone is born into overarching contexts such as nature, language, cultural credibility, or social systems. These forces did not suddenly emerge out of thin air as soon as we opened our eyes. Indeed, we accept these existing forces, or what I like to call Pillars, as our inescapable reality or truth. Consequently, our lives involve absorbing, learning, adapting, contextualizing, and sometimes even changing these Pillars. We take what already exists and we move on from there. In this article, I question how, when, and why this is our inescapable reality. Today’s most engulfing and influential Pillar is science, and for that reason it is important to establish its historical context. By doing so, science’s progression and widespread acceptance overtime will begin to make more sense. However, to understand how science has reached such high levels of reverence and credibility, I offer an alternative perspective which goes deeper into the realms of sociology and can even ultimately clarify the symbiotic relationship between public opinion and science. Firstly, how did science become so ubiquitous in our daily lives? To gain some context, it is important to look back in history to the building blocks of our Scientific Pillar: the European Scientific Revolution. According to most historians the Scientific Revolution was the first time in modern Western history that curiosity, objectivity, and empirical studies began to flourish in the face of strict religious dogma. Nicolaus Copernicus’ heliocentric theory, Galileo Galilei’s telescope, and Isaac Newton’s theory of gravity are considered some of the most revolutionary and innovative discoveries of the time. Yet, the three patriarchs of the Scientific Revolution received much criticism and skepticism from the Church and the general public. Because of their heresies, Copernicus’ discovery was immanently rejected and Galileo was put under house arrest for life. Nonetheless, despite the public’s dismissal of their ideas, the Scientific Revolution produced an “extraordinary diffusion of knowledge… ‘[S]warms of inquirers and experimenters everywhere’ and above all ‘the unprecedented degree of [communication] which men of science enjoyed.’” Consequently, “’the scientific world [was kept] more than ever awake and busy’ by a ‘rapid succession of discoveries, hypotheses, theories and systems’” . Many groundbreaking findings were recorded in mathematics, physics, and chemistry, among many other fields. 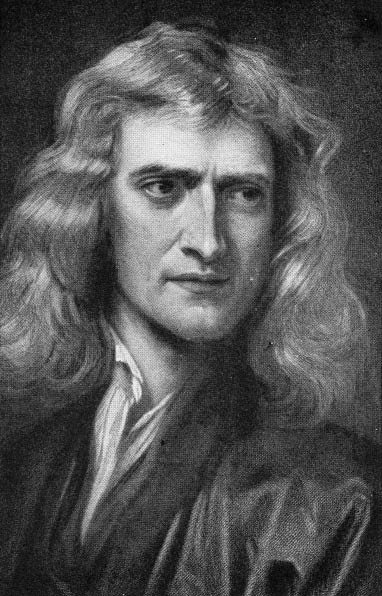 Naturally, the ideas of curiosity, objectivity, and empiricism glorified by the Scientific Revolution were reserved only for the privileged few in the ‘scientific community’ who understood, enjoyed, and accepted the scientific knowledge of the time. However, slowly but surely, these concepts began to simultaneously permeate the world of philosophers, economists, and political scientists to begin what we know today as the Enlightenment period. Suddenly, themes such as natural laws, the power of human reason, progressive improvement, and individual rights appeared in the day-to-day political and societal discourses. Hence, as time went on, the foundation of the Scientific Revolution motivated the Enlightenment principles that were infused in almost all aspects of society. The Enlightenment ideals allowed for increased access to education and the availability of written publications in the 19th and 20th centuries. The same values that allowed the Scientific Revolution to separate itself from religious dogma back in the 16th century prevailed and continued to shape the world we live in. Today, with the advent of the Internet and digital technology, the same ideals are being promulgated more than ever before to the entire population of the world. In a sense, each day that passes since the values of the Scientific Revolution took hold of the world is comparable to one more grain of sand that strengthens and reassures the all-encompassing Scientific Pillar. Although this recounting of events clearly delineates and contextualizes a historical progression of the Scientific Revolution ideals over time, it is not enough to explain the symbiotic relationship between science and public opinion about scientific issues. Logically, one can claim that over time one idea led to the other like a domino effect, and we suddenly find ourselves where we are today: a world where science is revered and unquestioned. But this is not the case. The ideals of the Scientific Revolution did not evolve over time in a vacuum. Each generation, with their conflicts and triumphs, had to somehow be convinced that science worked. That it was reliable and credible. Indeed, the somewhat controversial French anthropologist and sociologist of science Bruno Latour sheds light on my explanation for the resilience of the Scientific Revolution ideals until today. Latour was one of the first to study an ecosystem that was somehow taken for granted: the laboratory. In 1979, Latour, along with his colleague Steve Woolgar, published Laboratory Life: The Construction of Scientific Facts wherein they delve into the depths of the scientific method and laboratory from an ethnographic point of view. Essentially, Woolgar and Latour argue that laboratory experiments solely yield questionable data that is consequently ascribed to mechanical or systematic errors. In addition, they claim that experience in the lab means knowing how to subjectively discriminate between what data to retain and what data to neglect. They comment that “the distinction between ‘the social’ and ‘the scientific’ is itself an artful contrivance of scientists: a strategy they use in the social production of facts” . In the end, the most interesting part of the study is the fact that Latour and Woolgar view the lab and the construction of science as a system of beliefs with its own oral traditions and cultural-specific practices; almost a form of religion. Thus, from Latour and Woolgar’s perspective, one can perhaps argue that the durability of the Scientific Revolution ideals were due to science’s religion-like features. Personally, I would go as far as to argue that science is not only a religion for the so-called scientific community, but also for those outside; for you and I, who idly watch as scientific breakthroughs are made. How so? Well, we simply do not understand a large majority of the complexities that occur in our own bodies, let alone the technology we use daily. Yet we believe in it; we praise it and cheer for its progress. Indeed, Latour comments on this blind-faith-esque phenomenon as well. He calls it the Black Box. In his book Science in Action, among many thought-provoking conclusions, Latour borrows a term from computer science and explains how scientists tend to draw a “black box” around those processes that are too complicated to be repeated every time, and simply view them as almost magical processes that produce an outcome by themselves if an input is provided. Additionally, once a “black box” exists, its inner workings are no longer open for scrutiny or debate because they have been accepted by the scientific community and society alike. In my opinion, this “black box” train of thought is what we follow every day. We do not understand how our bodies work exactly, but we know that we eat food that energizes us. We do not know how a computer or a phone works exactly, but we believe and we trust in the science behind them. We “black box” these technologies, and our inputs seem to give us our desired output. This is why those outside and even inside the scientific community, are believers in the “religion” of Science. Similarly, I believe that every generation since the Scientific Revolution slowly joined this new “religion” and, out of necessity, would “black box” past experiments and innovations in order to progress. Of course at first it was the people within the scientific community. But as time went on, “black boxing” became commonplace for everyone. For instance, one of the most memorable achievements of the Enlightenment period was the creation of an Encyclopedia. “In their ambitious endeavor to redraw the boundaries of the world of knowledge [Enlightenment philosophers] Diderot and d’Alembert[,] chose selectively among elements of earlier topographies of knowledge [to chart] a new line between the known and the unknowable” . Their revolutionary endeavor “black boxed” everything that was considered knowledge and everything that was not. Complex explanations were shortened into definitions and, suddenly, the world’s knowledge was ready to be built upon for progress. The slow but large cultural shift in modern Western society from a religion of God to a “religion” of Science is visible in the art, literature, and scholarship of the last four hundred years. In my Biostatistics class at Hopkins, our professor spoke of statistics, the backbone of almost all experiment-based scientific discoveries, as the closest thing we can get to the ultimate truth. He even had a diagram called the “cycle of truth.” He warned us about confounding effects and other classic statistical errors, but it was undoubtedly understood by everyone in the lecture hall that science was the closest thing we could ever get to the ultimate truth. I believe that, in our society, people’s public opinion on scientific issues is directly connected to their blind belief in the “religion” of science. Whether we believe, disagree, or promote it, we can apply something Latour explains in his later work Pandora’s Hope. There he explains how scientific work is made invisible by its own success. When the scientific innovations, cell phones, and other machines run efficiently, there is a sense that a matter of fact is settled. At this point, people do not focus on the internal complexities just on the inputs and outputs. Hence, paradoxically, the more science succeeds the cloudier and unclear it becomes. As the years go by, I can only see these words becoming truer by the moment. The Scientific Pillar that is omnipresent in our daily lives is constantly growing due its increasing complexity. Because it is our natural tendency to take certain things for granted in order to progress, we apply the same logic to science. We are born into a context and we accept certain things as facts. This is how science came to be so powerful—as powerful as some of the world’s largest religions. Ultimately, the symbiotic relationship between science and public opinion about scientific issues is ever clearer. Science needs people’s continued belief, and people’s public opinions are shaped by the growing complexity of science. Bernard, I. Cohen. “The Eighteenth-Century Origins of the Concept of Scientific Revolution.” Journal of the History of Ideas 37, no. 2, 257-288 (1976). Available at: http://www.jstor.org/stable/2708824. Shapin, Steve. 1981. “Review of Laboratory Life. The Social Construction of Scientific Facts, by Bruno Latour and Steve Woolgar”. Medical History (1981). Available at: http://www.ncbi.nlm.nih.gov/pmc/articles/PMC1139062/. Lamont, Michèle and Virág Molnár. “The Study of Boundaries in the Social Sciences.” Annual Review of Sociology 28, 167-195, (2002). Available at: http://www.jstor.org/stable/3069239. Latour, Bruno. Pandora’s hope: essays on the reality of science studies. Cambridge, Mass. : Harvard University Press, 1999. Arie Grunberg is fascinated by the intersection of science, technology, and society. He will major in Public Health Studies with a minor in Entrepreneurship and Management and will graduate with the class of 2015. He is looking to excel in an exciting consulting career in the future!